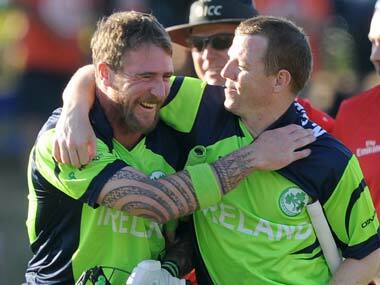 Catch the live score and all the latest updates from Ireland's historic first Test match against Pakistan at Dublin. 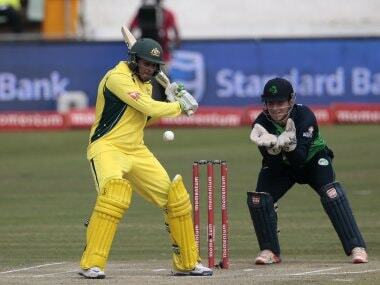 A T10 match can be a spectacle because of the skills on display and the talent required to win it. But a spectacle on its own doesn't always qualify as a sport. 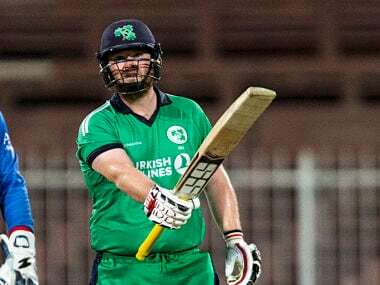 Opener Paul Stirling struck a brilliant century and left-arm spinner George Dockrell took four wickets as Ireland thumped Afghanistan by five wickets in the third and final one-day international in Sharjah on Sunday. 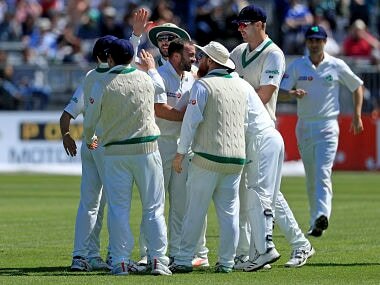 Ireland may have stumbled with victory in sight but their four-wicket win with 25 balls to spare is a loud statement of their capabilities. 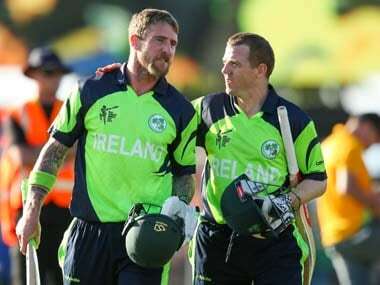 Ireland surpassed the West Indies' total with 21 balls to spare, becoming the first team at the tournament to win while batting second. 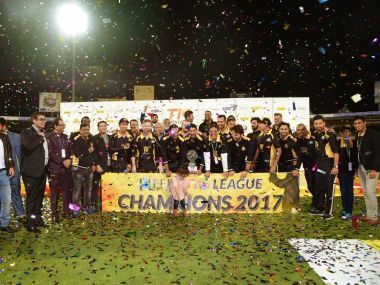 At Zayed Cricket Stadium, Paul Stirling was in devastating form when he smashed a 46-ball 77 with five fours and a six as Ireland scored 207 for 4 and then returned figures of 4-0-10-4.